Mangwon Hangang Park sits on the northern banks of the Han River close to the western end of Seoul. Its sports facilities are a bit dated and not in the best condition. 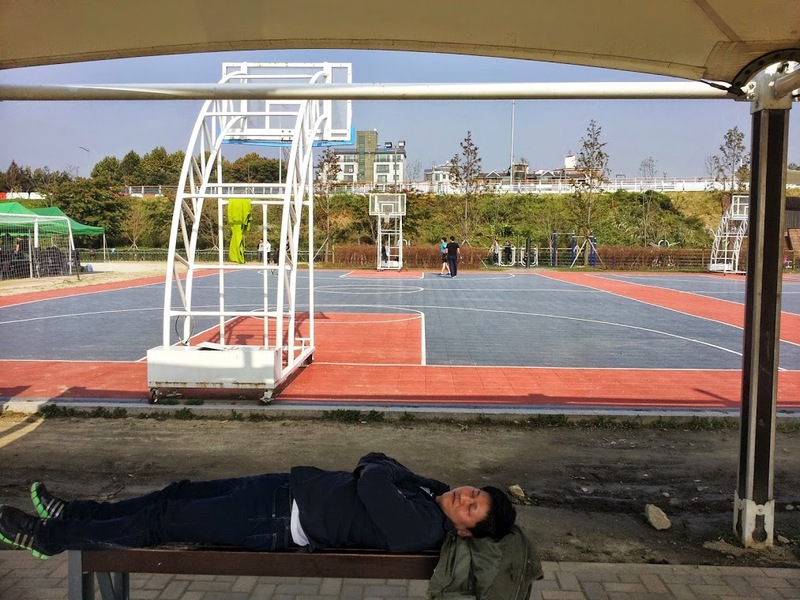 However, it is a scenic park, and playing at Mangwon Hangang Park is always rewarding because of the views. The surface here is a bit different than typically found. 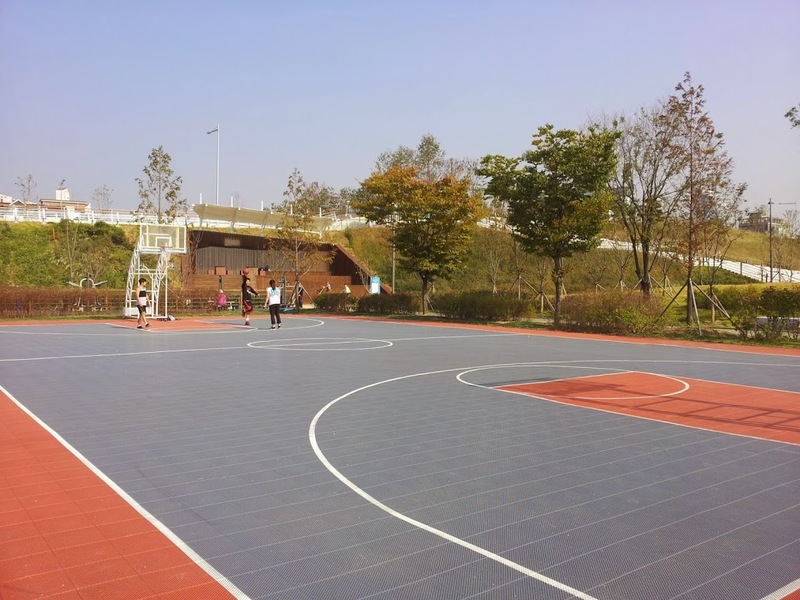 The court's surface consists of several plastic tiles fitted together. 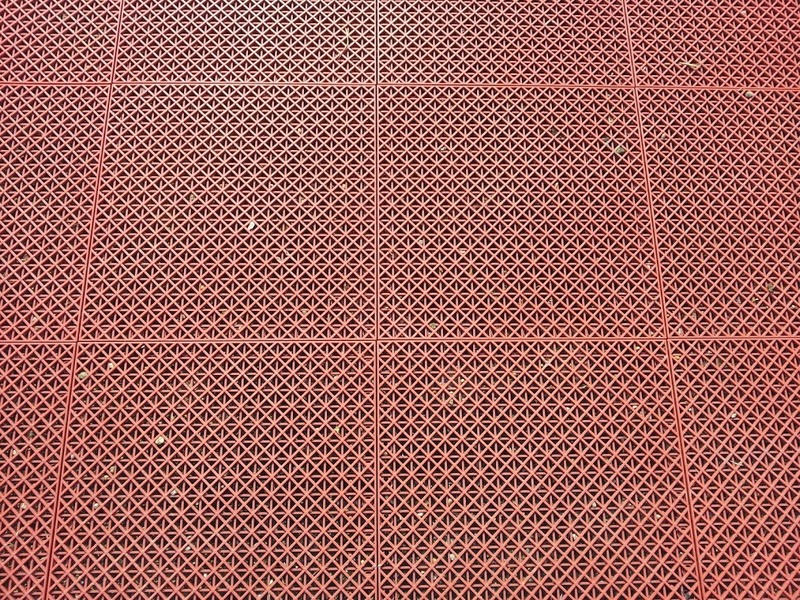 It is almost like a mat. It has okay grip, but it does a rough number on the basketball. Don't bring a ball you're fond of. Any ball that goes through a basketball game here will look like it has been through	a war zone. Very scenic location. You can swish 3s while looking out onto the Han River. Very scenic location. You can reject someone and have the ball go flying in the Han River. Very scenic location. 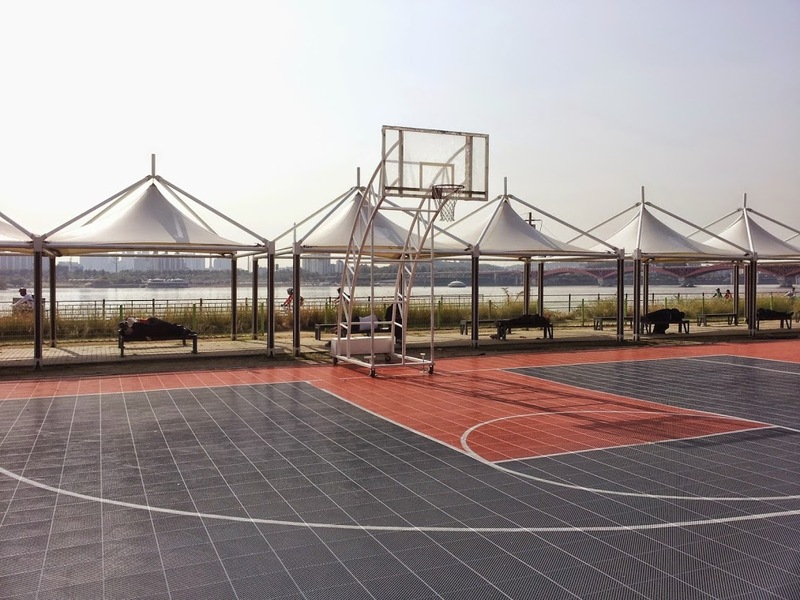 You can play a great game of 5-on-5 while enjoying the view of the Han River. Possibly because of the funkified flooring, these courts are not a popular spot for pick-up games. The nets are slightly lower than 10 feet. 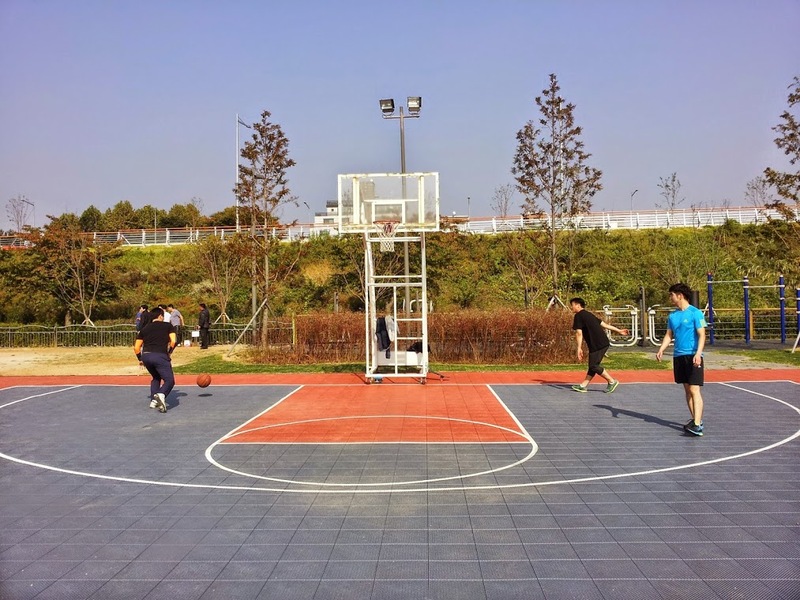 To see more photos, check out the Mangwon Basketball photo album. -From exit 2, walk towards Mangwon Post Office intersection (망원 우체국 사거리). Turn left at the intersection, and walk straight until you reach Mangwon Hangang Park. -Walk left once you reach the park.